DAVID LE/Staff photo. 4/30/15. 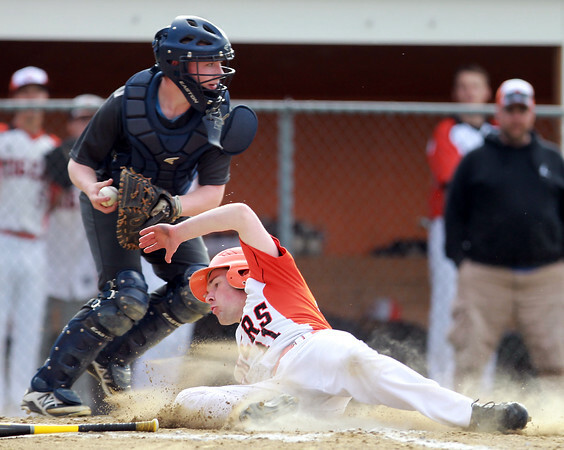 Ipswich's Danny Bennett (11) slides safely into home around Hamilton-Wenham catcher Phil Durgin to plate a Tigers run.